Volume 19. Issue 23. 19th March 2019. ATTS Travel Representation Solutions invite Travel Partners in Ireland to visit our new design website and official FaceBook Page. The new website is more dynamic with a modern design. Visitors can easily view our menu of services, clients we represent and testimonials from existing and past clients. In addition, the website features regular updates of events, activities, news and offers. Our brand new website address is: www.atts.ie. You can easily find us via our FaceBook Page searching for @ATTSTravel. In February, ATTS Travel Representation Solutions were appointed in Ireland as GSA for Incentive Connections Tourism LLC based in DUBAI. Incentive Connections is a specialist in offering a comprehensive range of destination management services in the Middle East, providing travel agents in Ireland opportunities to grow their revenues and expand their offering to the consumer. It is exciting to be able to offer our Irish agents MICE, leisure and package services in Dubai, Abu Dhabi, Oman and Qatar. 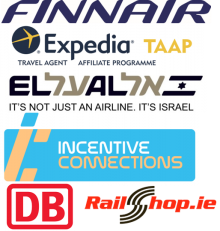 ATTS Travel Representation Solutions represent Finnair, Expedia TAAP, El Al, Incentive Connections, DB BAHN and RailShop in Ireland. Our diverse client portfolio meets the needs of Travel Professionals in the Irish Market wishing to increase their revenues across a variety of services in the travel and tourism industry. Finnair flies a short northern route to Asia via Helsinki. Expedia TAAP offers the largest travel inventory in the world including flights, hotels, car hire and activities. Incentive Connections has multiple summer & winter packages in Dubai and Abu Dhabi. El Al is committed to providing the service experience of the highest quality between Ireland and Israel. DB BAHN offers a wide variety of rail products ranging from domestic German Rail to Eurail Pass. RailShop offers worldwide rail reservations and itinerary building for your clients. The Irish Travel Trade Show will take place in RDS on 21st March. ATTS Travel Representation Solutions will have three stands at this year’s Show including Finnair (Stand D1), Visit Finland (Stand D2) and Expedia TAAP (Stand D3). Amazing Spot Prizes are available to win at the Finnair and Expedia TAAP Stand. We invite you to come and meet the Team and be in with a chance to win a grand prize or takeaway some goodies! We host monthly Client webinar training. 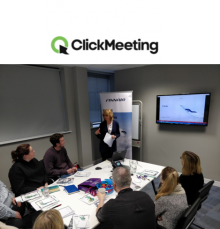 These webinars offer opportunities for travel agents to sell more to existing customers and build their ancillary revenues. They provide new ideas and information as to how we can achieve clear outcomes to improve business performance. ATTS webinars are open to all our Travel Partners in Ireland. We can also accommodate in-house training on request. If you would like to be added to the invitation list or need in house training, please contact sales@atts.ie or simply call us on : 01 882 8679 / 01 882 8680. The ATTS Travel Representation Solutions Sales Team began the annual national sales blitz in early February. We were excited to meet hundreds of Agents across the country sharing ATTS Clients’ latest news and offers. In addition, we were able to gather helpful feedback from both frontline Travel Professionals and Managers. This feedback helps us improve our training programme and better understand our Travel Partners’ needs. We also translate this information to provide the most up to date Client product offerings. Ensuring we present the most relevant portfolio of services in the market today.